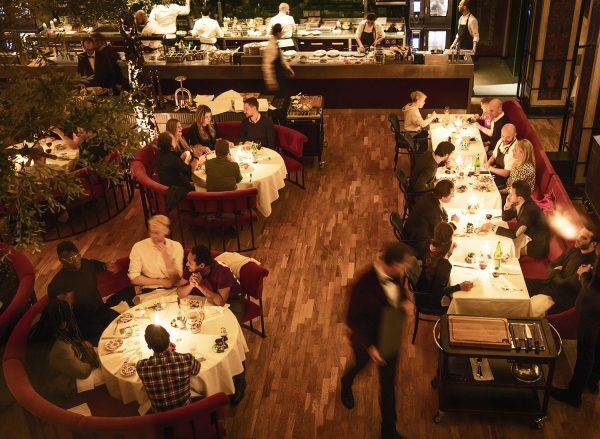 Meet Restaurateur Karl Ljung from Stockholms newest Italian restaurant L’Avventura in our Chef Q&A. We talk becoming a chef, what’s so great about Italian food and guilty pleasures, keep reading. 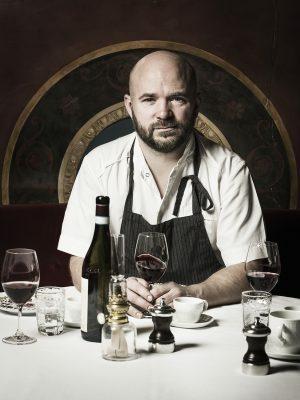 Karl Ljung started out as a Chef in Gothenburg in the 90’s. Since then he has become Chef of The Year in Sweden, worked in a number of Michelin starred restaurants and spent time cooking in television. 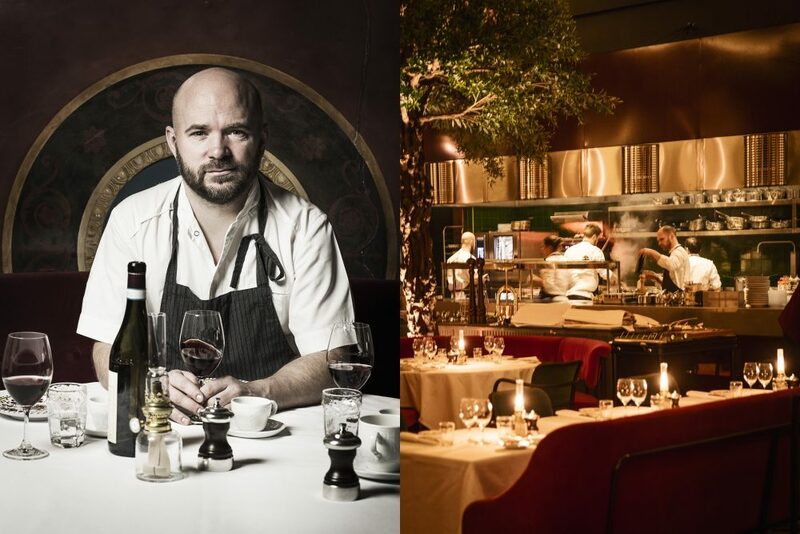 The last few years Karl Ljung has opened several new restaurants in Stockholm, his latest one is called L’Avventura and with this restaurant, Karl Ljung is going Italian. I discovered that I had a talent for it. I understood flavor and how food works. But foremost because I love to be part of a team, to compete every day like you do in a kitchen. There are two things about being a chef, one is to cook and one is to work in a kitchen and those are not the same. There are lots of people who love to cook at home but who wouldn’t want to in or to be happy working in a kitchen. I’ve loved everything about ever since I got started and that is why I still do it. You are part of a team who do everything to make it right every day. Have you ever considered or worked with something else? Not really, I studied economics in High School and then worked here and there before I got into the Swedish army. Once I was done with that the idea was that I should keep on studying and become a doctor like much of my family are. But I wound up in a restaurant instead and ended up staying there. I like the whole restaurant environment and lifestyle, I think that is an important thing if you want to work in this business. It’s not 9-5, it’s stressful and if you’ve gotten used to it I think it’s hard to be without it. I’ve worked in some other roles in restaurants in the past but I always seem to find myself in the kitchen, I guess I just have a hard time sitting still. So no, I haven’t really done anything else, this is hard work but I love it. I always say that being a Chef is too hard to be if you don’t like it, if you don’t like it you will switch to something else. Even love it I would say. Especially the stress and how every day is a hard in some way. The cool thing is that you start fresh each morning with your team. Every day is game day. That’s unique compared to many other professions and I think that is something many of us love about it. You’re the restaurateur at L’Avventura, is that the only restaurant you’re involved in now? It’s just this one and that feels so good. I had Hillenberg restaurant before this for over two years and just moved on from there. I love the starting up part of restaurants and getting them going. Keeping the old place and opening this wouldn’t have been ideal. This opening isn’t really done either, we have the whole building here so there are more things coming. I liked being involved in more places at the same time when I was younger. This fall I’ve been involved in a few other shorter projects and starting L’Avventura at the same time, when you do that it can be hard to focus. So I prefer to just be doing one place, it brings more focus and you can solve problems quicker and be more on top of things. You opened L’Avventura last week, how long has it been in planning? We’ve been working with it properly since August, that’s when the first staff started so it’s fair to say that we’ve really tested the menu. Before that we planned but in August was when the real work began. I’ve been wanting to work with Italian food for a long time. My father-in-law is both a chef and Italian, my children go there every summer and me to for at least a few weeks each year. 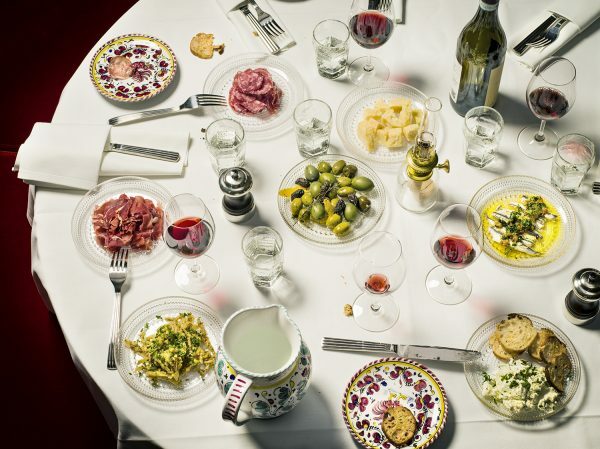 We talk Italian, drink Italian wines and eat lots of Italian. Also when people see this place they will understand, it just is Italy. What draws you to Italian food? I like the simplicity. The simpler you make it the harder it is. Finding the ingredients and the right flavors. Which salt, oil or tomato you choose can make or break a dish so the seasons and the suppliers become extremely important. We’ve worked with the staff to get everyone to understand that, making something simple can be really hard. Looking at the menu it seems like you will really get a classic great Italian dinner? Yes, you will. I’ve learned after opening other restaurants that it’s incredibly important that guests get what the restaurant is about. They need to understand what you’re about. You’ll see that on how they order. Usually, the most classic dishes will sell great in the beginning, people want to know if you’re good and uses the classics as a reference point. On their second or third visit, you’ll see how they start to try something more unexpected. So we will add more unusual dishes and step further away from the classics when we’ve been opened for longer. At the same time, we have to trust our idea, knowledge, ingredients and keep it simple. With all this in mind, we also have to remember that we are in Sweden after all, if something doesn’t work here or some old Italian rule says that you can’t serve this with that we can change it, if it makes the food better. 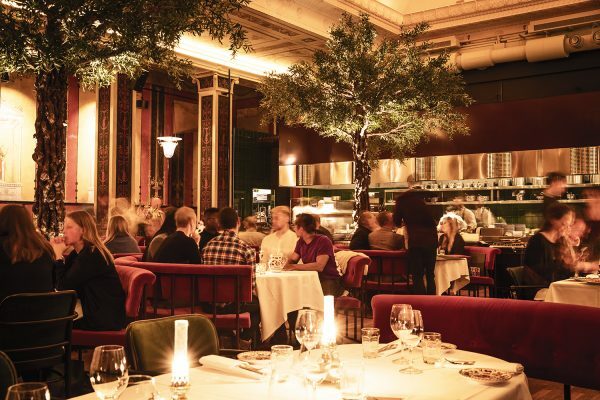 Both L’Avventura and your former restaurant Hillenberg serve a classic kitchen. Do you think many Chefs cook more for themselves instead of their guests? For me, there are two types of restaurants. One is what I like to call an experience restaurant. Places you visit maybe once a year instead of going to a theater. Those restaurants are very important, they are the ones who create the new things and drive innovation and can be great to visit. I want to make restaurants where you can come by a few times a week. Grab a bowl of pasta or host a big birthday dinner and where you don’t have to plan for months for a visit. So for me, those are two different things. And they shouldn’t be mixed together? No, it’s actually important that they are kept separate. I think it’s a problem that they are often judged on the same premises. That’s not fair to any of them. In one you want to feel relaxed, have a nice meal and enjoy yourself. In the other you expect to be surprised and get a different experience, to me they are both equally important. It gets more clear the older I get. I like good, clean, food. I don’t mind new ingredients and techniques, but only if it makes the food better. I’m not big on over decorating the food. Flavor always go before the aesthetics. That’s not a unique way of thinking of food, at L’Avventura we go deep within that. For example, we have an Olive Tapenade that we do without anchovies, garlic, capers and all that. It’s all about the olive flavor. We’ve spent so much time perfecting that one. How do we dry the olive? Which olive should we use? How do we chop it? What oil do we use? All those factors matter. Then we serve it straight up, no fuss. Super simple but it takes lots of work to get there. I’ve worked a little bit different with that at different places. Since we’ve just opened that’s more or less all we’ve been doing so far. But I think we will set a day each week when we test new dishes. Then we’ll keep working on that dish during the week until we feel it’s done. Creating a good process along the way, that might not be the sexiest thing ever but it’s very important. I like cheese and charcuterie but that’s not really a guilty pleasure. There have been chips and dip found at home I’ll admit to that, and Pinot and Cheese puffs. Who do you think I should interview? Carl Frosterud, he’s the Restaurant Manager at Frantzén. It would be fun to read how he works with the hospitality side of a restaurant like that. Thank you, Karl Ljung and good luck with L’Avventura. L’Avventura is a new Italian restaurant located on Sveavägen 77 in Vasastan, Stockholm. It’s the classic Italian restaurant but more ambitious. 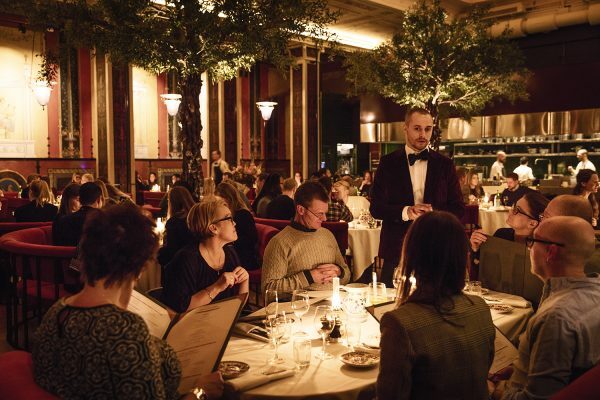 It has two bars and one dining room set in a former movie theater with six-meter high ceilings, stucco moldings and wall paintings by Nils Asplund. 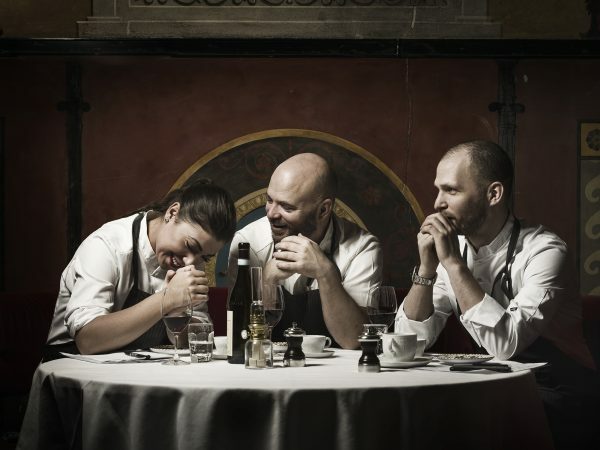 In the kitchen, Karl Ljung, Jens Bergstrand, and Laura Marino will serve Italian food with lots of love and soul. L’Avventura is open Tuesday through Saturday. For menus and reservations visit them online here and check them out on Facebook and Instagram.